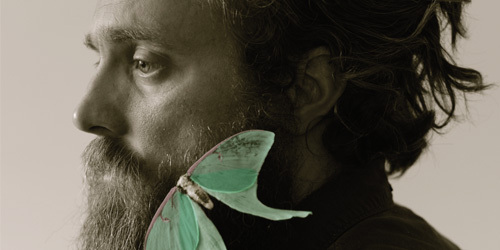 Iron & Wine is the musical project of singer-songwriter Sam Beam. Born in South Carolina and currently residing in North Carolina, the former film professor got his start making home recordings before landing on venerable Sub Pop Records. The 2002 debut, The Creek Drank the Cradle vaulted Iron & Wine into the spotlight of the burgeoning indie-folk/Americana scene where over the years he developed into one of its prolific songwriters. Beast Epic’s eleven tracks take the listener on a ride thru the 15+ year history of Iron & Wine while still offering up a new and contemporary sound.